I’m deeply skeptical of this. 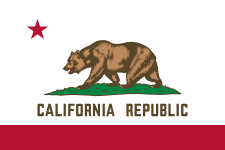 In 2010, California voters approved getting rid of party-based primaries and adopting a “top-two” set-up, sometimes called a jungle primary. This month, the state tried the new primary model in which candidates of all parties ran at once on the same ballot. The top two vote-getters for statewide, congressional and legislative offices — no matter which party — will face off in the general election in November. The way the system is set up in California, a general election could pit a Democrat against a Republican, or it could be a contest between two Democrats or two Republicans. Smaller parties’ candidates also could end up on November ballots. The idea behind the top-two primary system is to prevent the political discourse from racing to the extreme right or left and prevent voters on the ideological fringes from effectively electing candidates in the primaries. Southern Methodist University political science professor Cal Jillson said the concern about the polarization of partisan primaries is a common theme, including in Texas. The current system of partisan primaries in Texas has pushed Republican statewide candidates — who have won every election since the mid-1990s — to cater to the right wing of the party, resulting in the most conservative candidates being elected by a small portion of the overall electorate, he said. Conversely, a top-two primary system could provide hope that more moderate candidates could be elected by the larger number of voters who turn out in general elections — and who tend to be more moderate than those who generally vote in primaries, Jillson said. “All of the candidates will have to appeal to as many voters as possible, not just some partisan base,” Jillson said. The Texas Legislature got a glimpse of similar legislation a few years ago. In 2009, state Rep. Donna Howard, D-Austin, introduced a bill that would have called for open primaries to elect members of the State Board of Education. She said the purpose of the bill, which never made it out of committee, was to make the elections more like those for local school boards. 1. I absolutely reject the notion that there’s been any movement, let alone a “race”, the the “extreme left” in Democratic politics. I don’t even know what that might look like. The Republican electorate has moved so far to the right that it has a distorting effect on everything else. Maybe a top-two primary system will have a moderating effect on that, but suffice it to say that this remains to be seen. 2. A big part of the reason for my skepticism here is that turnout levels are even more intrinsic to primaries than they are to general elections. Look at how wildly turnout levels can fluctuate from one primary season to another. Part of the reason for that is it’s dependent on what offices have hot races in them, which is often a function of which seats are open. If we had a California-style primary this year, instead of having a David Dewhurst-Ted Cruz runoff for the GOP nomination, we’d almost certainly have Dewhurst and Cruz as the two nominees for November. Call me crazy, but I don’t see any moderation in that. 3. I believe redistricting would also have an outsized effect on the outcomes. California also approved a redistricting commission that was designed to take that process away from legislators and – in theory, anyway – make that process less ideological. Again, it’s not clear to me how the “top two” system is supposed to generate different outcomes in districts that are 65%+ one party or the other. These are all theoretical concerns, because as the story points out the Republicans who run the state have no reason to change things in any way that may be to their political detriment. Unlike California, we don’t have legislation by referendum, which is how this system came about over there. We’ll see how it goes for them, but I don’t really expect it to make much difference, and if it does I don’t expect it to be adopted here anyway. I actually really like this system, and I do think it would remove the far right/tea party aspect of some R’s and one might hope to get moderate and sensible people running. That would kill third parties. No third party candidate has made the general election ballot in any state that has implemented this system. The California system does not even allow write-in votes. In the most nearly similar use of this system in Texas, in the special court-ordered all party primaries in Nov. 1996 for congress, the result in CD 25 was a runoff between pro-choice moderate GOP candidate Dolly Madison McKenna and Ken Bentsen. A more conservative? black Democrat and a conservative Republican did not make the cut. I think if the system were in place for the US Senate contest this year, the dynamics of the primary would be different and Sadler, or some other united Democrat candidate would have a fair shot to get into the runoff. Total Democrat primary votes were 250,000, in excess of the Cruz total of 200,000. But the results could be quirky, depending on how many candidates of each party chose to contest. A single D against a dozen Rs probably would get into the runoff. A dozen Ds and 2 Rs would probably result in 2 Rs in the runoff. The difference: The Tea Party dominated GOP will likely pick Cruz. Moderate general election voters would likely pick Dewhurst. The moderating effect comes from the more moderate choices of general election voters, not necessarily the candidates.